The Transport Mesh of the Assos Skinfoil LS Summer long sleeve baselayer white unisex increases breathability and improves moisture management, moving sweat away from the skin. The long sleeves are perfect for cooler summer rides, delivering UV protection, and the seamless construction with a lightweight strategic compression eliminates chafing so that the regularFit cut feels plush against the skin. 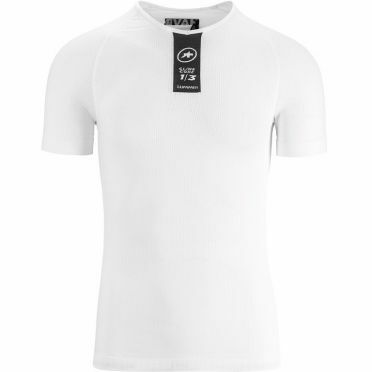 The Assos Skinfoil SS Summer short sleeve baselayer white unisex will keep the air flowing more freely and keep you cool and comfortable on the hottest days and during the hardest efforts. A transport mesh material ensures high breathability and wicks sweat so you stay dry for longer. A seamless construction reduces the risk of discomfort and chafing. Assos' regularFit and unisex cut make this base layer suited to both male and female riders. 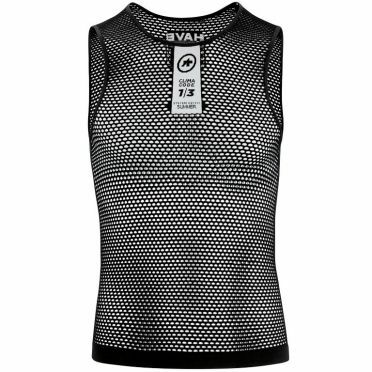 Designed to be worn against the skin for the perfect breathable layer to move moisture away from the body, the Assos Skinfoil NS Summer sleeveless baselayer black unisex will keep you dry and cool on hot days. The seamless construction moves with you, eliminating irritation between you and your outer layers, and the tubular manufacturing process ensures a fit that shapes to the contours of your body. So light you will barely notice wearing it, but without question you will feel the benefit. 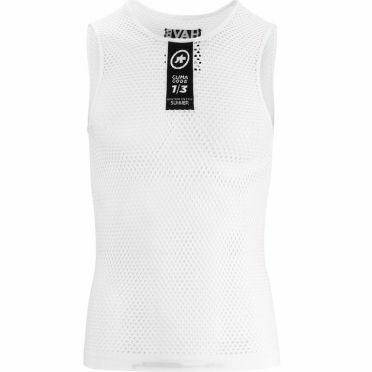 Designed to be worn against the skin for the perfect breathable layer to move moisture away from the body, the Assos Skinfoil NS Summer sleeveless baselayer white unisex will keep you dry and cool on hot days. The seamless construction moves with you, eliminating irritation between you and your outer layers, and the tubular manufacturing process ensures a fit that shapes to the contours of your body. So light you will barely notice wearing it, but without question you will feel the benefit. This is the Castelli Pro issue W sleeveless baselayer white women, the pros requested for those inbetween conditions where the Flanders is too warm and the Core Mesh is too cool, like Spain in February or Belgium in April. You’re not looking for warmth from your base layer, just something to move the moisture away from your body and help your race jersey perform. The 3D mesh fabric creates dead air space next to your skin, while the polyester capillary action moves sweat away. Tip: keep in mind that the Castelli clothing fits smaller than normal. 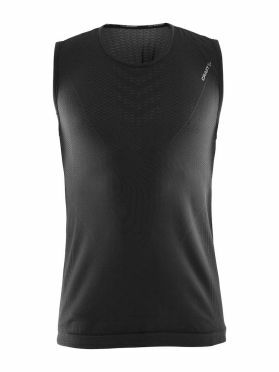 This soft and comfortable sleeveless jersey keeps you dry and warm during all kinds of physical activities and works both as a baselayer in colder conditions and as a training jersey in milder temperatures. The garment comes with ergonomic fit for optimal freedom of movement and seamless design for maximum comfort. In addition, bodymapped fabric structures provide efficient body-temperature management. Available in many different colors. Creating that perfect summer weight base layer is harder than it sounds. 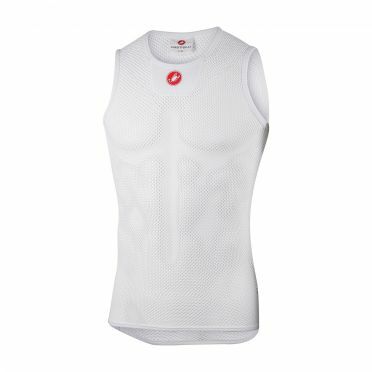 Castelli has intentionally kept this Castelli Core mesh 3 sleeveless baselayer white men as minimalist as possible to let the open mesh fabric pull the moisture off the skin. The secret to this base layer comes in the fabric that is highly stretchy but without using Lycra that tends to hold in the moisture. You stay drier and cooler. Tip: keep in mind that the Castelli clothing fits smaller than normal. The pro cyclists we work with know the importance of the right base layer for the conditions. 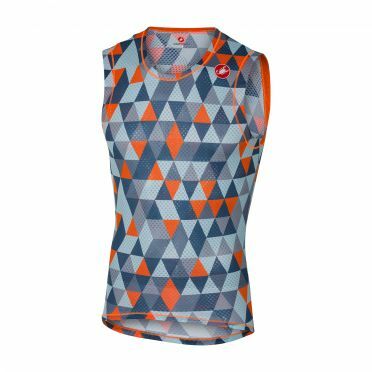 The Castelli Pro mesh sleeveless baselayer multicolor blue men is made for the widest range of conditions and is designed to keep you dry in cool to mild temperatures. We’ll even put it under a Flanders Warm base layer in the coldest conditions. We’ve given it a graphic print so you can show off that you have something special when you open your jersey zip. Tip: keep in mind that the Castelli clothing fits smaller than normal. The pro cyclists we work with know the importance of the right base layer for the conditions. 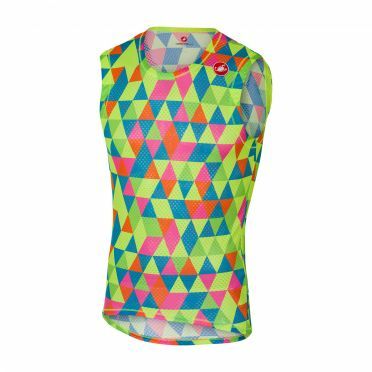 The Castelli Pro mesh sleeveless baselayer multicolor fluo men is made for the widest range of conditions and is designed to keep you dry in cool to mild temperatures. We’ll even put it under a Flanders Warm base layer in the coldest conditions. We’ve given it a graphic print so you can show off that you have something special when you open your jersey zip. Tip: keep in mind that the Castelli clothing fits smaller than normal. 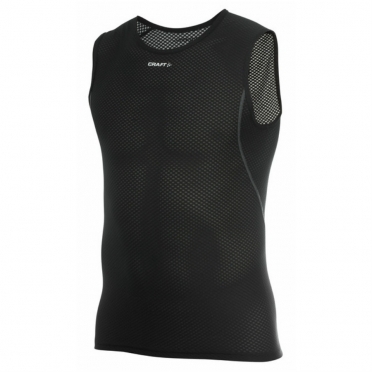 Superlight Mesh top with big-hole design for superior ventilation/cooling. 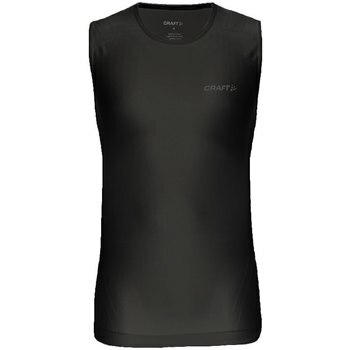 The Craft Stay Cool Mesh Superlight sleeveless shirt men 194378 has an ergonomic fit for total freedom of movement. Further it has excellent moisture transport and a sfot and comfortable fit. Craft Cool Intensity Singlet black women is made of thin, lightweight and functional polyesters with a unique CoolMax Air technology. Via a high-performance fiber is an excellent ventilation and moisture transport offered during your workout with high intensity in warm conditions. Cool Intensity Baselayers have a tight fit, Bodymapped mesh structures and a seamless design that ensures comfort and function during your workout. 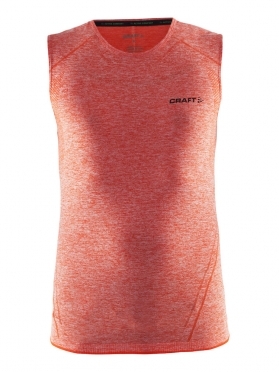 Cool Intensity Craft Singlet for women has a seamless design, is made of thin material and is lightweight. In addition, the elastic singlet features mesh panels, for an excellent moisture transport. Craft Cool Intensity sheeveless baselayer white men is made of thin, lightweight and functional polyesters with a unique CoolMax Air technology. Via a high-performance fiber is an excellent ventilation and moisture transport offered during your workout with high intensity in warm conditions. Cool Intensity Baselayers have a tight fit, Bodymapped mesh structures and a seamless design that ensures comfort and function during your workout. 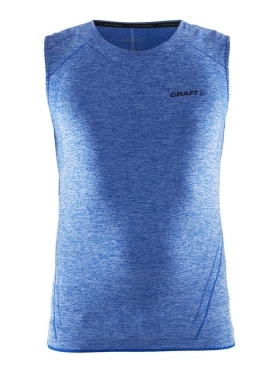 Cool Intensity Craft Singlet for women has a seamless design, is made of thin material and is lightweight. 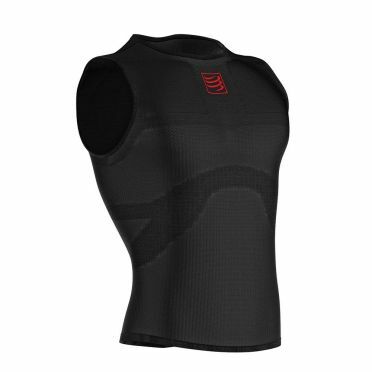 In addition, the elastic singlet features mesh panels, for an excellent moisture transport. 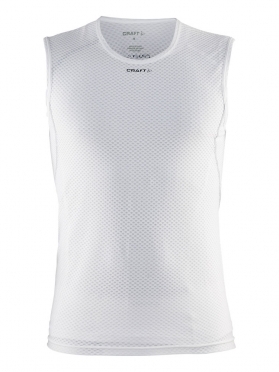 Craft Cool mesh superlight sleeveless baselayer white women is a lightweight, micro polyester mesh fabric with a big-hole 6-channel fiber construction for super ventilation and cooling. The ergonomic fit features total freedom of movement and a comfortable fit. 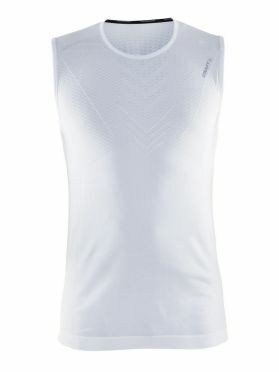 Ultra lightweight sleeveless shirt made from loose-knit mesh fabric. The high cooling properties makes it the "fridge among the functional shirts". 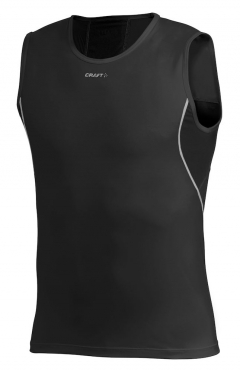 Craft Cool Intensity sheeveless baselayer black men is made of thin, lightweight and functional polyesters with a unique CoolMax Air technology. Via a high-performance fiber is an excellent ventilation and moisture transport offered during your workout with high intensity in warm conditions. Cool Intensity Baselayers have a tight fit, Bodymapped mesh structures and a seamless design that ensures comfort and function during your workout. 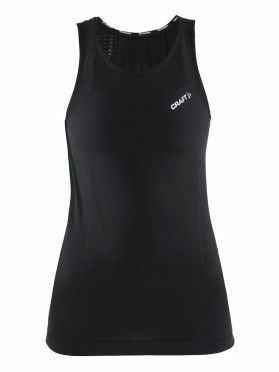 Cool Intensity Craft Singlet for women has a seamless design, is made of thin material and is lightweight. 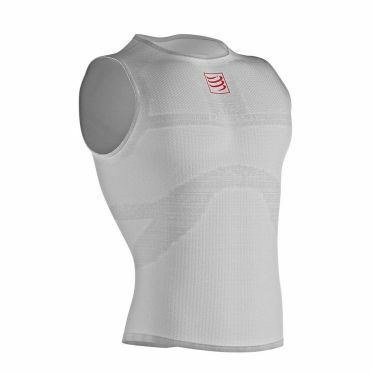 In addition, the elastic singlet features mesh panels, for an excellent moisture transport. 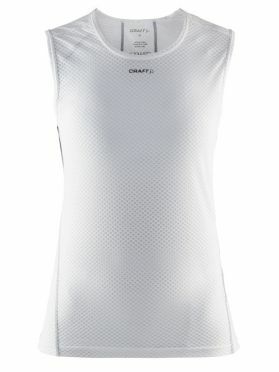 The Craft Stay Cool Mesh sleeveless shirt men 193681 is a slim-fit shirt for men. Thanks to the comfortable fit and freedom of movement, you can wear the shirt for a long continued time. The mesh structure ensures optimal ventilation. And because the perspiration is dissipated quickly your body will remains dry, cool and fresh, so you can keep being active at higher temperatures.